Select from our line of affordable and beautifully fitted Windows, ranging in various different styles and frames to suit the interior of your home. PVC-u profiles are available in White, Rosewood, Black and Golden Oak as standard and can be produced to give a choice of internal and external finishes. Many other colours are also available to order, including White, Mahogany, Cream, Green, Red, Blue, Walnut, Birch, Natural Oak and many more in foiled finishes. All windows are fitted immaculately, with no raised edges or bumpy surfaces. Every design has a smooth texture and is safe free when it comes to young children. We offer double glazing solutions, meaning you can save energy with a fraction of the cost.  Our Windows are offered at competitive low prices, giving you the most out of your money. Available in a list of popular colours and simple designs, you won’t find another company like us elsewhere! Our team also offers free home quotation on all services, so you know you’re getting exactly what you bargained for. Slide Sash Windows give a vintage look to a window frame that is aesthetically pleasing and functional. They are easy to clean, the slide makes it so you can clean from inside your home. Georgian windows became popular in style in between 1720 and 1820 and still are a popular choice with many homes for its clean, sleek look and panels which add a interesting element. Casement windows have the ability the optimise the space you already have while simultaneously adding to the beauty of your home. Select from our luxury range of casement windows to find your perfect match. Lead windows are windows with a number of panels to create an aesthetically pleasing, interesting finish made from glass with lead leaving a shinier finish.